Since the beginning, Dragon set out to be the leading eyewear and accessories brand in the active youth lifestyle market by supporting the best athletes with premier products, while remaining connected to core retailers and consumers. That mission still holds true today and remains to be the driving force behind the company’s triumph and heritage. Dragon gradually broadened its reach, while simultaneously developing innovative and diversified product offerings in the eyewear category. With an emphasis on creating functional and premium merchandise, our brand has stayed true to its appeal in the youth market, while continuing to push the status quo. Introducing an assortment of innovative product early on, we saw an opportunity to add snow goggles to the line by associating ourselves with the community in snowboarding. We loved riding and realized snowboarders were treated like second-class citizens just like us as a start-up, so we thought that would be a good match. From there, Dragon has recruited tenured snowboarders like Jamie Lynn and Chris Roach, while consistently seeking out up and coming talent. 25 years later with plenty of ride days under our belt, we’ve since established ourselves as a pioneer in the snow goggle business. 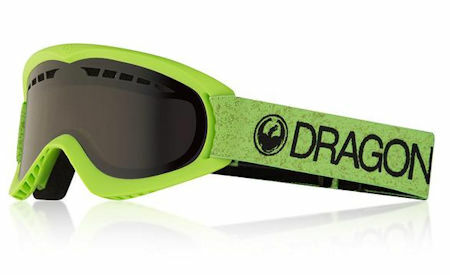 Our Dragon Goggles are brand new and guaranteed to be 100% authentic!